Our Christmas Social last week was a lot of fun and many beautiful “shows and tells” were on view. Many thanks to Jennifer for all her help at the United Church Hall. 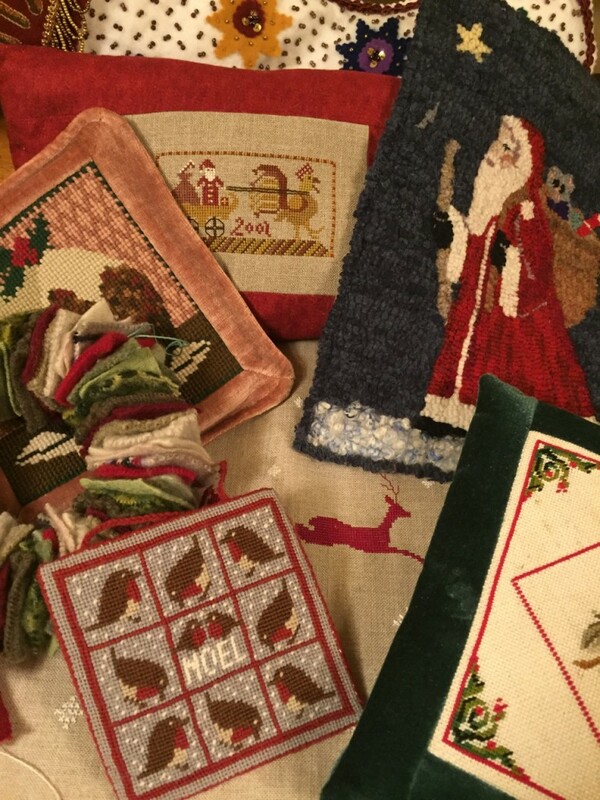 Merry Christmas and Happy Stitching to everyone. We look forward to a very fibre-filled 2018. 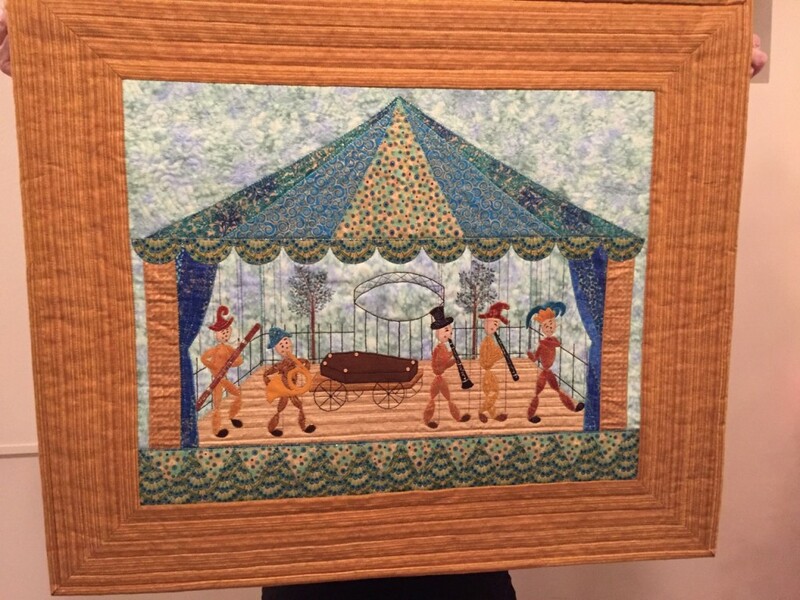 Céleste Thibodeau-Stacey’s “Funeral March of a Marionnette” inspired piece. 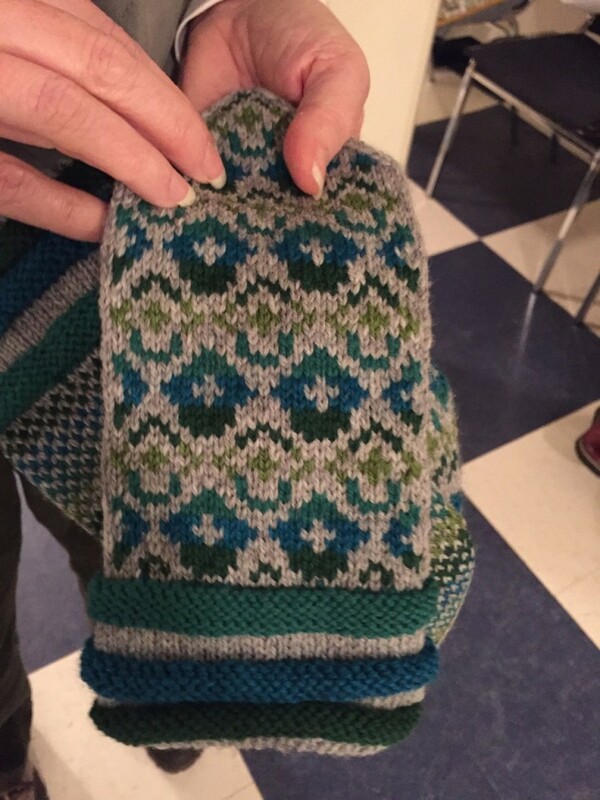 Cheryl Den Hartog’s mittens based on the shape of our own Fort Anne. Please mark your calendars for Thursday, December 14th at 6 pm to join your fellow SOFAAR members at the United Church Hall (basement) for an evening of enjoyment and sharing. This church is located at the corner of Route 1 and St.George St. at the lights. Parking is available at the church, across the street in the ARCAC parking lot and also in the Court House parking lot. If you would like, please bring a finished project or work in progress for show and tell. It’s always inspiring to see what everyone else is doing! Please also bring a nibbley – either sweet or savoury to add to the table. And bring a friend (non-members $2). Coffee, tea, cider or non-alcoholic punch will be provided.